Magic ViewFinder (iOS and Android) is Director’s ViewFinder simulator. This app generates view that will be seen through your camera. It is NOT an external viewfinder for any camera. It is designed to be used in a stand-alone smartphone / tablet. Magic ViewFinder is actually a range of apps, each supporting a system, among which are: Canon, Nikon, Sony, Lumix, Red, ARRI and, last but not least, Black Magic Design. These apps are free, as opposed to the Magic Universal ViewFinder app, which is paid, ad-free and has some nice additional features. Visual DOF is a depth-of-field calculator at first glance, but it is much more than that. The app generates a preview of how (non) sharp any objects will look, that happen to be (or not) near the point of focus. More than that, the app measures the blurriness for you, and makes a huge sense from these values. Magic Light Master is a tool for those who want to master exposure of light. This app takes the data from measuring by professional tools, like Sekonik light meter, and graphically displays them on characteristic curves. Also this app has White Balance meter which is handy at shooting, and some technical references for different cameras. Magic Light Master is yet in pre-release version 0.9.9. 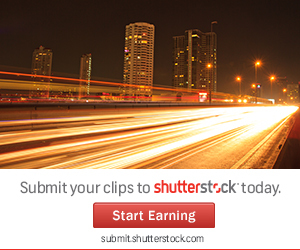 PS If you want to sell your images and video footage via stocks, I do recommend Shutterstock. Time means a lot there, so the sooner you upload your works, the sooner they start bringing you some coins.